There is no doubt that the market is full of upright vacuum cleaning equipment. Manufacturers have noticed that most people today prefer an upright vacuum cleaner. However, with so many brands out there, you may not be able to get the best from the rest. But you should try out one of the most bought and talked about vacuum cleaner—Shark Rotator Pro Complete Lift-Away (NV552). There is no doubt that Shark is considered as one of the top selling and authentic brands in the market when it comes to manufacturing quality vacuums. So it is true to say that Shark is a household name when it comes to upright vacuums. You can call this brand a mid-level player since their products are also not intensely priced. There are so many things you will like about this vacuum. So let’s have a look at what makes it stand out. The first thing you will notice about the Shark Rotator Pro Complete Lift-Away is its sleek transparent design. This blends in very well with any type of home especially if you decide to store it where everybody can see. It is also easy to assemble and use thanks to its weight and dimensions. The dimensions of the Shark NV552 are 15.8 x 11.8 x 37.4 inches and only weighs 20.5 pounds. 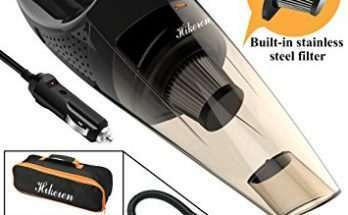 Now you know why this vacuum cleaner has been flagged as one of the hottest selling products at Amazon. This machine has been designed incredibly and has the tendency to serve like 3 different vacuums. This means that it can be used as powerful upright, canister vacuum and lift away. You can make it lift away pod if you wish to use it as a portable vacuum. What makes this vacuum cleaner able to reach various places of the house is the fact that it comes with a 30 ft cord. There are also various tools that come with this machine that make it able to clean different surfaces like tiles, carpet and bare floor. What makes it outstanding from the conventional vacuum cleaners is the fact that it is equipped with sealed vacuum technology. This machine has HEPA filters. The filter is also washable meaning the hygiene will always be there during use. Power is always key when it comes to any electronic home appliance. 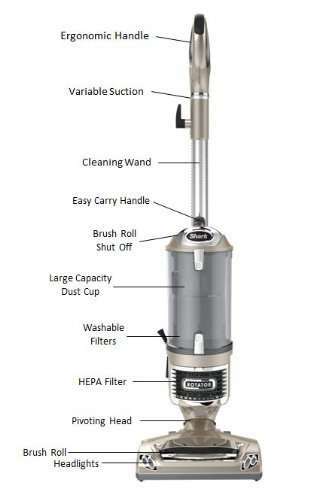 This HEPA vacuum has an undistorted supply of power and suction which makes the usage of this particular vacuum better than any other in the market. The dust cup and dust away attachment is another feature you will like about this machine. The Shark Rotator Pro Complete Lift-Away (NV552) has an extra-large dirt cup and anti-allergen mechanism that makes it function better than your ordinary vacuum. This helps it trap all the dust particles and allergens inside the vacuum. Microfiber pad is also used to capture the minute and extra fine dirt. So what you have is a superior cleaning device that can thoroughly clean a bare floor. There are brilliant tools and accessories that come with this machine. For instance, it comes with a 12 inches crevice tool and a dusting brush. 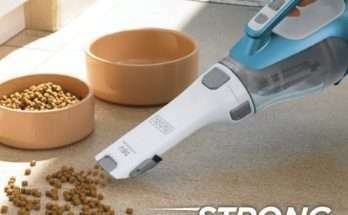 To swash away pet hair from your house, you can make use of the large pet power brush that comes with the Shark NV552. 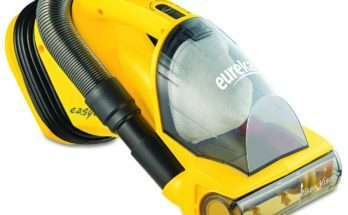 There is also a wide pet upholstery tool that works on all upholstery and furniture to give your home a perfect clean. You should also make use of the usable microfiber pad and an under appliance wand. There is a canister caddy that comes with the machine to enable you to use it as a canister vacuum. You can conveniently reach the narrow places of your home with the Shark NV552 thanks to the swivel steering. So make sure you sweep under furniture and beds for the ultimate cleaning experience. There is no doubt you will be attracted to the premium rotator power nozzle that has headlights which makes cleaning much easier. Lastly, the HEPA filters on this machine are ideally installed to work on the allergens. The filter sticks the allergens and dirt and only allows them out when you want to empty the cup. Since you can wash them again after use, you won’t have to replace them like you would in other machines.